"Quercetin: A Potential Drug to Reverse Multidrug (Multi-drug) Resistance." Life Sci. 2010 Sep 11;87(11-12):333-8. Chen, C., et al. Shandong University, Jinan, Shandong, PR China. Multidrug resistance (MDR) is a big problem to the success of chemotherapy. There are a number of MDR mechanisms, including overproduction of chemical transporters across cell walls. There are 49 proteins which function as transporters which are ATP dependent drug pumps. These transporters remove chemotherapeutic agents from the cells so that they can’t accumulate in the cells. Inhibiting these transporters improves the results of chemotherapy. Many studies show that plant flavonoids inhibit MDR. Quercetin is a flavonoid found in onions, apples, tea and berries. It has the basic structure of a glycoside. 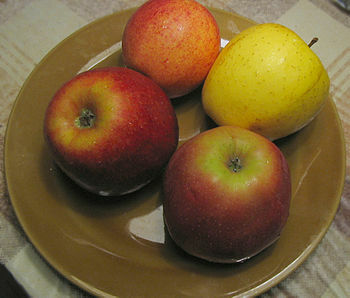 Quercetin has multiple functions due to the molecular structure. Quercetin in the intestine is mostly broken into metabolites before it enters the blood. Quercetin products accumulate, mainly, in lungs, but it concentrates to some degree in testes, kidneys, thymus, heart and liver. It is excreted mostly through the bile. Quercetin prevents cancer by different mechanisms through multiple targets. Quercetin inhibits growth in both drug-sensitive and MDR cells. It has been shown to increase the absorption of chemotherapeutic drugs in a number of MDR tumor cell lines. Quercetin acts by blocking the action of the efflux pumps and may reduce the production of these pumps in MDR cells. Quercetin was studied in rats given the anticancer drug, tamoxifen. Quercetin increased tamoxifen absorption, concentration and bioavailability. More studies are needed. The effect of dietary quercetin remains to be studied in live patients with MDR cancers. It has not been shown that quercetin inhibits MDR in living animals. The proper dose of quercetin is not known. CONCLUSION: Quercetin flavonoid is a multidrug resistance inhibitor and a sensitizer to chemotherapy with potential for great benefit in MDR cancer treatment. NOTE: Multidrug resistance (MDR) refers to the ability of cancers to have or to develop resistance to most of the usual drugs used to treat cancers. ATP (adenosine-5-triphosphate) is a coenzyme used for energy transfer within a cell. Pumps transport ions and chemicals across cell walls. There are many kinds of cell wall pumps. ATP transport pumps use ATP for energy. The outer peels of red onions are high in quercetin and have been found to improve erectile dysfuntion. It has phosphodiesterase inhibitory activity according to an article by Lines, TC., et al. Read about the ability of quercetin and other flavonoids to increase the tendency to exercise and, therefore, to reduce inflammation.